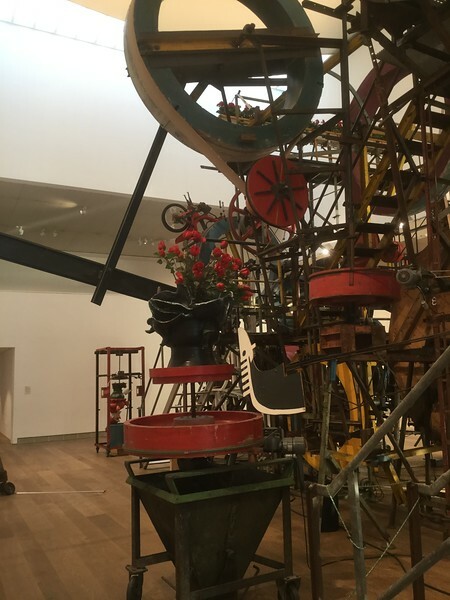 Tinguely was born in Basel, and became very famous for his kinetic sculptures. I'd seen an exhibition of his work in the Tate, which the Museum Tinguely informed me must have been in 1983. I mean, it was so long ago that I can say "in the Tate", without having to specify which of the four Tate galleries I mean, because the only Tate gallery at the time was the Millbank one. The far side of the huge sculpture, which I didn't get to see in motion at all.